A year ago, three of Australia’s pharmacy brands came together as one. Since then, we have been working together as one to grow our unified TerryWhite Chemmart brand into something truly exceptional. We’re determined to stand out as Australia’s favourite pharmacy with the most highly-trained pharmacists in the country. Long story short – we want to become the leaders in health. For all your hairdressing needs. 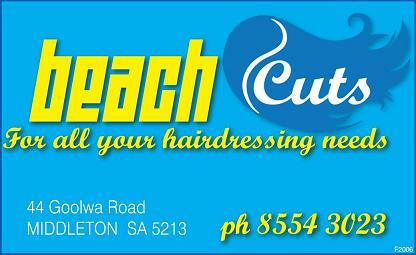 Located on the Fleurieu Peninsula at 44 Goolwa Road Middleton. 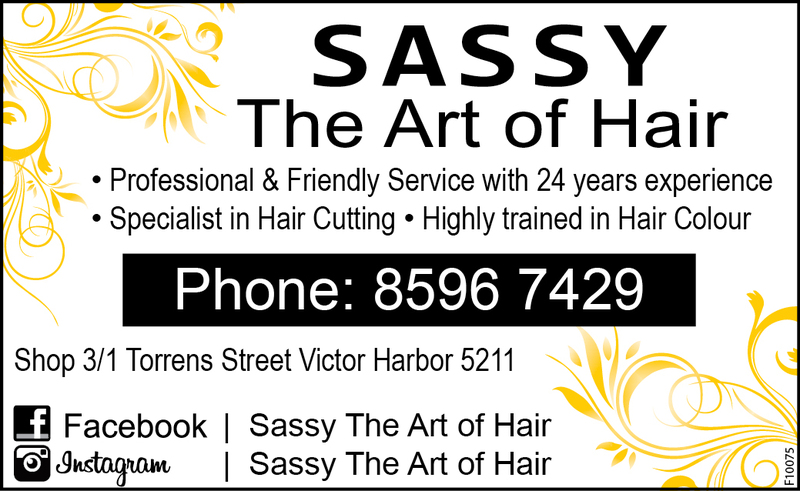 If you are a visitor to the South Coast and need a cut or trim please call in. Fleurieu Link is a multi-media publication and includes this website with all advertisers listed and cross referenced against the services and products they provide. Fleurieu Link is also a locally printed and distributed book with over 27,000 copies printed and distributed annually to homes and businesses throughout the Fleurieu Peninisula. © 2018-2019 Fleurieu Link - All Rights Reserved.